Quilters Dream Batting: Forever In Stitches / Raggedy Ruth Designs is once again sponsoring the 2018-2019 Hopes & Dreams Challenge for ALS! 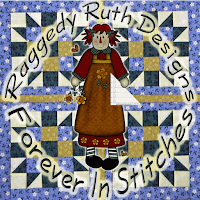 Forever In Stitches / Raggedy Ruth Designs is once again sponsoring the 2018-2019 Hopes & Dreams Challenge for ALS! Forever In Stitches, LLC is a quilt shop located in northwest Ohio at the center of Bluffton at 120 N. Main St. Ste. B. It is the design studio for Raggedy Ruth Designs™, a longarm quilting studio, and the home of the Perfect Corner Ruler™. At that location they quilt 700 quilts per year locally and from afar. “Raggedy” Ruth has published 159 patterns, two books, and the Perfect Corner Ruler™. Rick has a created library of over 1,600 longarm digitized longarm designs. They find it a blessing to be of service to others through their business. We are participating in the 2018-2019 ALS Hopes & Dreams Challenge that was founded by Quilters Dream Batting. 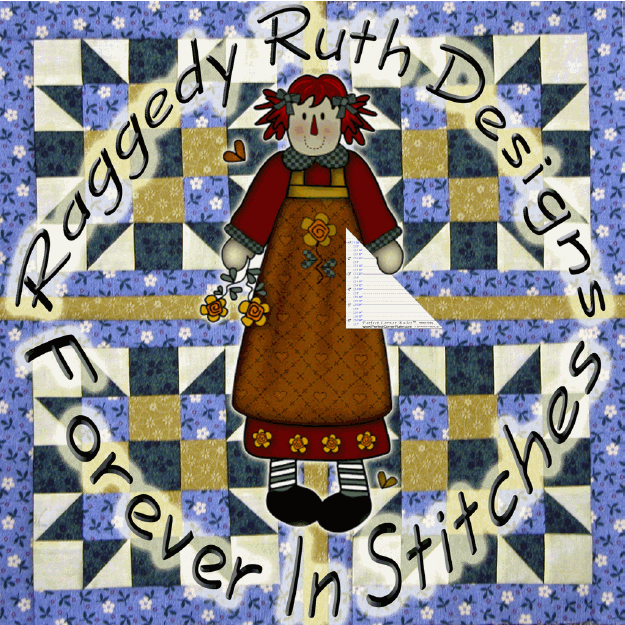 Forever In Stitches/Raggedy Ruth Designs has been a Grand Sponsor since we first heard of it. We choose to support Hopes & Dreams because ALS (Amyotrophic LAteral Sclerosis, better known as Lou Gehrig's disease) has hit home with me and also with friends. We had gotten involved with several "crusades" involving quilts over the years and every time the crusade took on a life of its own, leaving the reason behind. But, that is not the case with Hopes & Dreams. Hopes & Dreams has been unique in that they have stayed true to their cause and the donations go directly as quilts to ALS patients or to ALS research. The money raised by their activities goes directly, 100% to ALS research. However, some have chosen specifically to donate to support the administration [shipping, etc.]. · Donate money to the Hopes & Dreams challenge. This will go 100% to research unless you specify that it can be used for other purposes (such as administration). You can Click Here to find more information about ALS Hopes & Dreams from their web-site. Submit a quilt to the challenge by July 31, 2017. Submitted quilts will be given to ALS patients or used to raise awareness and research money for ALS by being photographed, displayed, auctioned, or raffled. Click Here for more information on submission. The staff will choose according to their judgement the best quilts by July 31. These are then shown on their web-site to be judged by the quilters-at-large who visit their site and vote. Prizes are then awarded at the end of September to those shown on the web-site for judging.Click Here for more information on the challenge, size limitations, and other requirements. Click Here for information regarding prizes. If you would like to donate money for research or for the event, please send checks to Hopes & Dreams, Inc.,589 Central Drive, Virginia Beach, VA or call 888.268.8664. The organization is a 501(c) and the donation is tax deductible. But why is ALS important to me? Because it has stricken one of my best friends and the brother of another of my friends. Both of these stories I will share here. Both stories are unusual in a very particular way: the friends and family, not just the "caregivers" end up in positions of helping others in ways they had never envisioned. It seems strange to think that there may be a "good" side effect from such a horrible disease, but I think that learning to go beyond what you thought you would be willing to do is one of the basic lessons in this life. A friend once said "The reason you are here when there are so many other people in the world is that you are the one, right here, right now, in this situation: so act!" 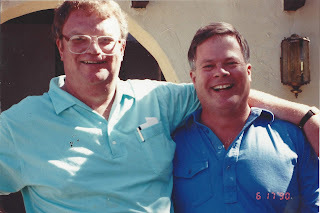 Twenty-four years ago I was talking to Dave, one of my best friends and president of my company, Executive Insights. Dave Alderman asked me to raise my hands above my head. He wanted to see how difficult it was for me, which it was not. It turned out that he could not raise his left arm higher than his shoulder. Being a stout, strong man, the situation troubled him. Shortly thereafter he was diagnosed with ALS [Amyotrophic lateral sclerosis - Lou Gehrig's disease]. He rapidly deteriorated physically to using a wheelchair. He resigned his position to seek ways to make his mark on the world before he died. As Dave moved from one level to the next, always lower, his cheerful, gregarious nature remained. Dave was fortunate that his wife, Helen, was a nurse. When you have a friend with ALS, you do things you did not think you would normally do. This is because ALS "disconnects" all of the nerves from the muscles. This makes it almost impossible to function in a normal fashion. These disconnects also include the muscles needed for breathing. One basically suffocates. Fortunately for Helen, David died in his sleep, even though he was using a breathing machine. Phil Kingsley assisted with the Fall Festival, where I came to know him. He was the brother of my friend Mitch Kingsley and a professor at Bluffton University. According to Mitch, when Phil could no longer type or speak he was provided with a communication device by a foundation that works to meet the needs of persons with ALS. With his "WinSlate" (as it was called) Phil could type words, sentences and entire paragraphs through blinking his left eye. In this way he communicated with his caregivers and visitors, followed email, searched the Internet, and turned on his TV and radio through the "wink of an eye." The WinSlate support had named Phil "Fast Talker Kingsley". Those of you with whom he exchanged email messages may have seen this description of Phil pop up on your own computer screens. Some read his series of "Adventures in ALS" - some humorous, others more serious - all written on his eye gaze machine. I would like to share a few excerpts from one of Phil's longer and more serious reflections, "Adventures in ALS: Losses and Gains." "On a more general note, with ALS there is a profound sense of loss of the future. I probably won't see my grandchildren grow up. How will the lives of my sons, Dan and Mike, and Judy my wife, and my seven siblings and their families unfold? How will things go on the farm I invested so much time and effort in developing organically? How will our natural environment fare over the longer haul? ... What will happen nationally and internationally; I won't see how things play out on a large number of fronts that I have taken a strong interest in - will we ever as a human race take strong enough action on global warming that we will have avoided the worst of the disaster for our children and grandchildren? Will the death penalty ever be abolished in this country? For me (and probably most people) a significant amount of thinking time was devoted to anticipating the future, and now I no longer have that luxury except on a much reduced scale. "When I was first diagnosed with ALS I knew in the abstract about the losses I would experience. Now I am experiencing them in a concrete, day-to-day way. Despite the losses, I still feel I have a pretty good life. Two of the biggest factors in this are the wonderful people I have surrounding and helping me, and the assistive communication device/computer that I can use to express myself through both long distance communication and for face-to-face communication. "So I have experienced gains as well as losses. At Frieda House, where the guiding philosophy is to create a family-like setting for the 10 residents, giving them as much independence and as little regimentation as possible, I have met some really wonderful people, who not only take care of me medically but also take the trouble to get to know me as a person and understand my habits and preferences. Without ALS I probably would never have got acquainted with some really good people. "Another type of gain I've experienced is the learning about my disease and lots of medical information surrounding it. I've learned from many courageous PALS who participate in ALS forums online with information from their own experience of living with ALS. So I have gained considerable new knowledge even though it is not the knowledge that I would have chosen to acquire a year and a half ago. "Finally I have gained a new sense of closeness with my seven siblings. We have always been close, but my disease and their response have, for me, brought an even stronger feeling of closeness. They have been with me a lot and in many different ways, and it is born in upon me how fortunate I am to have as siblings each of the seven and their spouses."